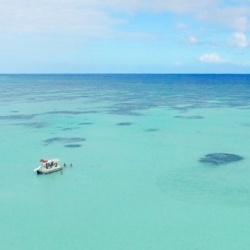 Dreaming of turquoise blue water and snorkeling? 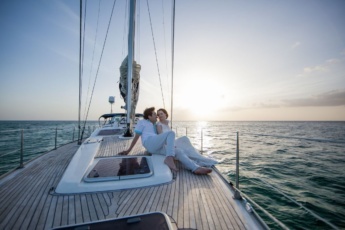 Wishing to party aboard a comfortable boat with your family and/or friends? 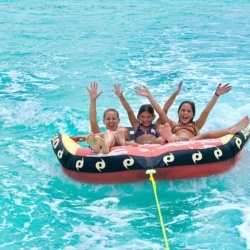 Welcome to Juanillo Party Boat – the best Punta Cana party boat for up to 6 people fond of snorkeling and sightseeing! Starting at Marina Cap Cana port, the excursion includes a boat trip along Juanillo beach, the bohemian corner of the world, a stop at a reef full of impressive submarine inhabitants, a visit to a picturesque wild beach, and snorkeling in Natural Pool. Finally, you can enjoy our inflatable pillow and have an absolutely exciting adventure! Private party, snorkeling, and sightseeing experience, with free-of-charge beverages (water, coke, rum), snorkeling equipment, and transportation from and to any Punta Cana/Bavaro hotel included. We provide pick-up/drop-off from any hotel of Bavaro/Punta Cana touristic zone and take you to Marina Cap Cana port from where your boat party starts. We pick you up at 9.00 a.m. or at 2.00 p.m.
You will see the most beautiful beaches of the area and one of the best beaches in the world - Juanillo beach and Sanctuary hotel wild beach. 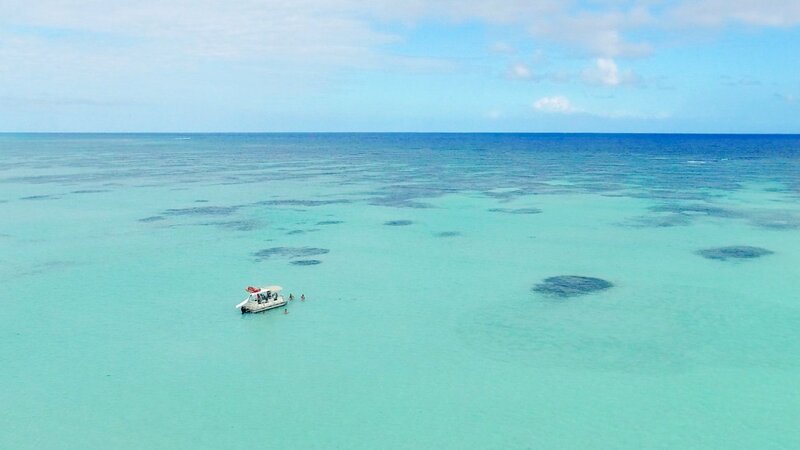 We make a stop for reef snorkeling at a location with absolutely transparent water. We continue our Punta Cana party boat trip to the wild beach of the Sanctuary hotel, where you can take pictures on the picturesque beach. We take you to the Natural Pool where you can enjoy our free drinks and swim in transparent water, as well as slide from the boat toboggan and listen to the music via our Bluetooth Speaker System. Just connect your cellphone and listen to your favorite songs! Break the waves on our inflatable pillow! We provide you with snorkeling equipment for reef snorkeling, as well as with inflatable pillow, first-aid kit, and Bluetooth Speaker System. You can enjoy water, rum, and coke free-of-charge. Approximate pickup time from your hotel or pic-up point: 8.30 a.m./1.30 p.m.
What to bring: swimming suit, sun protection cream, sunglasses, hat, photo camera, good mood. What’s included in this Punta Cana Party Boat Trip? + Comfortable transportation, water, rum, coke, inflatable pillow, Bluetooth Speaker System. + Unique party, snorkeling and sightseeing experience. It may be very sunny aboard, so take a hat and sun protection cream with you. If you or your mates suffer from seasickness, make sure to take necessary medication. Book your unique Punta Cana Party Boat Experience now! It was beyond all expectations. The fact that it is a private party boat is a huge positive. We had a lot of fun. Personally, I liked most of all snorkeling and inflatable pillow. I had never experienced snorkeling earlier, but it is so exciting! I recommend everyone to watch reef inhabitants in the Dominican Republic. I liked inflatable pillows. It is a very fun activity. For me it was the free drinks, for my girlfriend, it was the party itself and the amazing views…Damn! The experience was so complete and sensual. Who would have missed this opportunity to socialize with other couples? Now we can go and get married knowing we have conquered the world. Reef Snorkling, Partying, free drinks, magnificent views, you name it all in one experience. It’s the ideal party toolkit, I enjoyed every bit of it, thanks to the guides who ensured our safety on the beach. An amazing experience all in all, truly amazing. What should I bring to Punta Cana Party Boat? We recommend to bring to Punta Cana Party Boat swimsuit, sunscreen, sunglasses, towel, hat, camera and good mood. Is food included in the price of Punta Cana Party Boat? Only free drinks are included in the price of Punta Cana Party Boat excursion. What month is best for going on Punta Cana Party Boat excurion and snorkel? 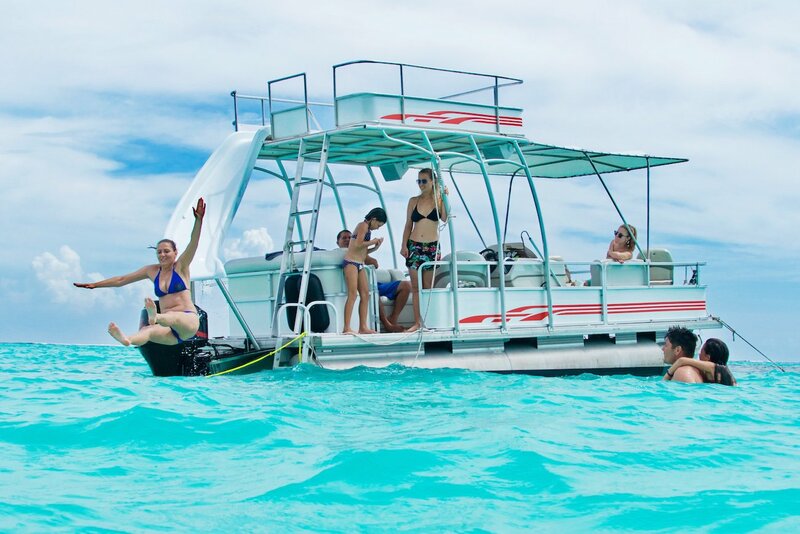 Throughout the entire year you will be able to enjoy snorkeling on Punta Cana Party Boat excursion. How many people can go on Punta Cana Party Boat excursion? Punta Cana Party Boat is suitable and comfortable for 6 adults. For more questions, please contact us directly! 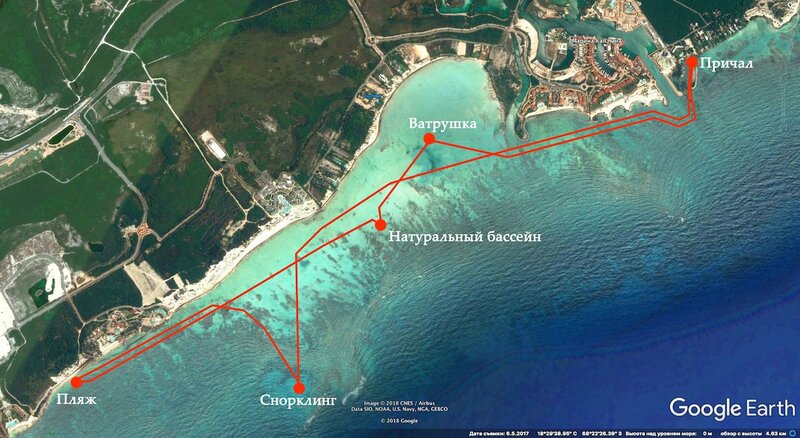 Will Punta Cana Party Boat remain in one place or will it be sailing along the route? Our Punta Cana Party Boat will be sailing along the route. However, you will have some stops to enjoy swimming. 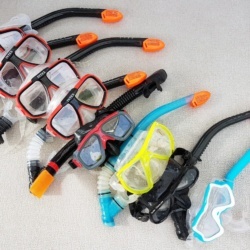 Do you have snorkeling equipment on Punta Cana Party Boat? 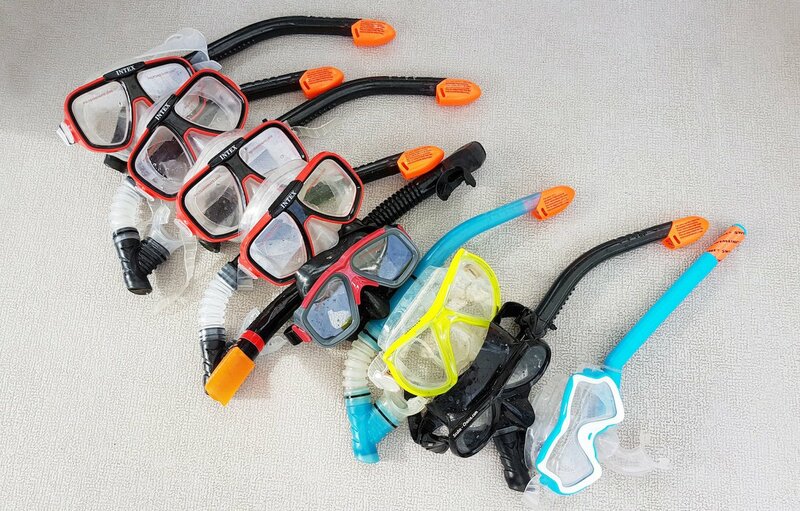 Yes, we have snorkeling equipment on our Punta Cana Party Boat to let you enjoy the unknown and wonderful underwater world. Is transportation from the hotel included in Punta Cana Party Boat excursion? Yes, transportation is included in Punta Cana Party Boat excursion. We will pick you up at your hotel and then drop you off. Can I bring food onto Punta Cana Party Boat? You can bring food onto Punta Cana Party Boat. But do not take perishable food on board. It may be very sunny aboard, so your food can go bad. You can take some snacks and fruits aboard. What beaches will we visit during Punta Cana Party Boat trip? 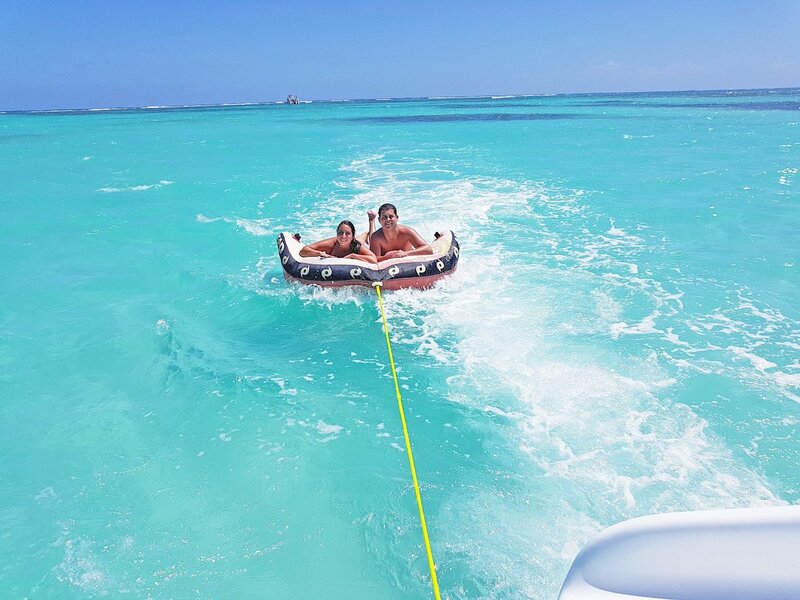 During your Punta Cana Party Boat trip you will have the opportunity to see one of the best beaches in the world – Juanillo beach, as well as to take pictures on the wild Sanctuary beach. Do you operate Punta Cana Party Boat trip, if the weather is bad? 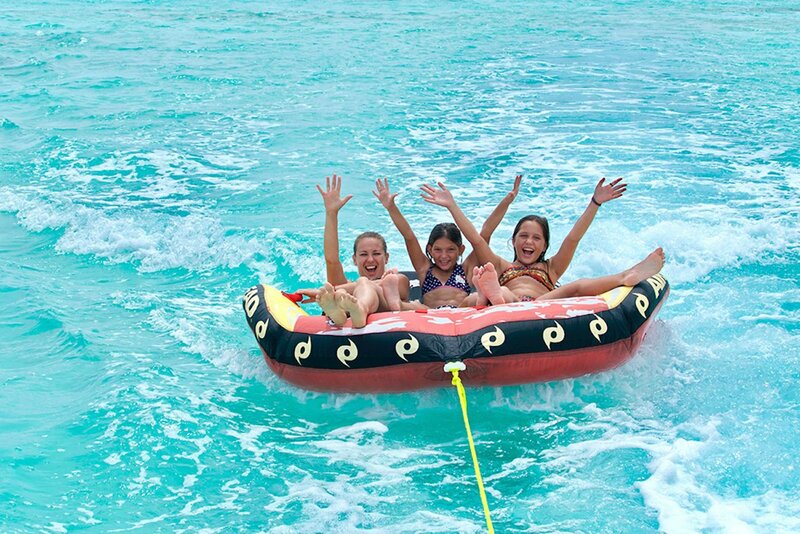 We operate Punta Cana Party Boat trip in fair weather only. However, the weather in Punta Cana is rarely bad, so the chance that your Punta Cana Party Boat trip can be cancelled is unlikely.